Welcome to our Ajax coloring pages! Amsterdamsche Football Club Ajax, also referred to as AFC Ajax, Ajax Amsterdam or simply Ajax (after the legendary Greek hero), is a professional football club from Amsterdam, Netherlands. The club is historically one of the three clubs that dominate the Dutch national football league (Eredivisie), the others being PSV and Feyenoord. 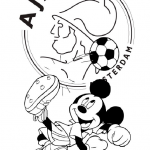 On this page you can find some nice Ajax coloring pages! 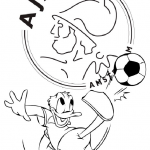 Ajax is historically one of the most successful clubs in the world, which is why we’ve had to put some Ajax Football coloring pages online for you. According to the IFFHS, Ajax were the seventh most successful European club of the 20th century. The club is one of the five teams that has earned the right to keep the European Cup and to wear a multiple-winner badge; they won consecutively in 1971–1973. In 1972, they completed the European treble by winning the Dutch Eredivisie, KNVB Cup, and the European Cup; to date, they are the only team to keep the European Cup and accomplish the European treble. Ajax’s last international trophies were the 1995 Intercontinental Cup and the 1995 Champions League, where they defeated Milan in the final; they lost the 1996 Champions League final on penalties to Juventus. They are also one of three teams to win the treble and the Intercontinental Cup in the same season/calendar year; This was achieved in the 1971–72 season. Ajax, Juventus and Bayern Munich are the three clubs to have won all three major UEFA club competitions. They have also won the Intercontinental Cup twice, the 1991–92 UEFA Cup, as well as the Karl Rappan Cup, a predecessor of the UEFA Intertoto Cup in 1962. Ajax plays at the Amsterdam Arena, which opened in 1996. They previously played at De Meer Stadion and the Amsterdam Olympic Stadium (for international matches). 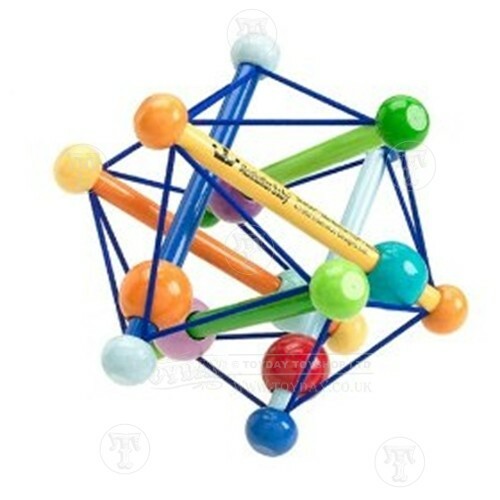 The club was founded in Amsterdam on March 18, 1900 by Floris Stempel, Carel Reeser and Johan Dade. 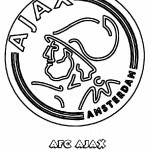 It was the second incarnation, after a short-lived previous attempt (as the Football Club Ajax) in 1894. 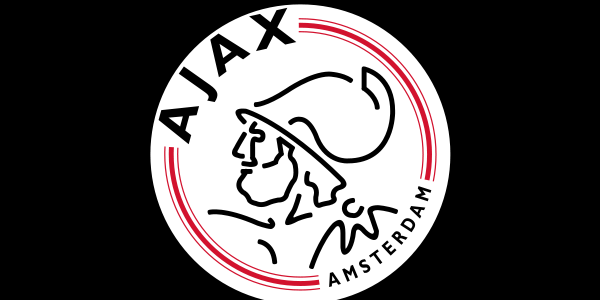 The club were named after the mythological hero Ajax, a Greek who fought in the Trojan War against Troy. In The Iliad, Ajax was said to be the greatest of all the Greeks next to his cousin Achilles, and even fought an inconclusive duel with Troy’s champion Hector. According to most accounts, Ajax died by committing suicide. Thus, unlike Achilles, he died unconquered. Ajax succeeded in promotion to the highest level of Dutch football in 1911, under the guidance of Jack Kirwan, their first official coach. The promotion meant that Ajax were forced to alter the club’s strip, as Sparta of Rotterdam had the same kit, red-white vertical stripes with black shorts. Ajax adopted a broad vertical red stripe on a white background with white shorts, the club’s kit to this day. Although their efforts were not unnoticed (Gé Fortgens became a frequent member of the Dutch national team for a while) they were relegated in 1914. While they immediately bounced back, they had to wait until 1917 to regain higher level status again: they did become league champions in both 1915 and 1916, however the 1915 league was declared unofficial (due to World War I), whereas in 1916 they did not make it through the promotion round. Under the guidance of Jack Reynolds (Kirwan’s successor as of 1915) the club was promoted to the highest level in 1917 and won the Dutch national cup final, defeating VSV 5–0. Ajax went on to win their first national championship in 1918. The championship was secured in Tilburg where they faced Willem II without Jan de Natris, arguably the club’s first ‘star player’, who missed the train to Tilburg and opted to stay in Amsterdam instead – earning him a fine of 10 cents. In the following season he earned a six month ban, but Ajax did well in his absence: not only did they retain the championship title, their 1919 campaign was also an unbeaten run for them – an accomplishment that was only repeated 76 years later by Ajax themselves. I hope you’re not feeling too much like going outside and playing football with your friends right now, because we still have a few Ajax coloring pages that need to be colored by you!